An educational museum in Lincolnshire showcasing historic memorabilia from both world wars is set to save more than £40,000 over the next 20 years, thanks to specialist renewable energy consultants Greenio. 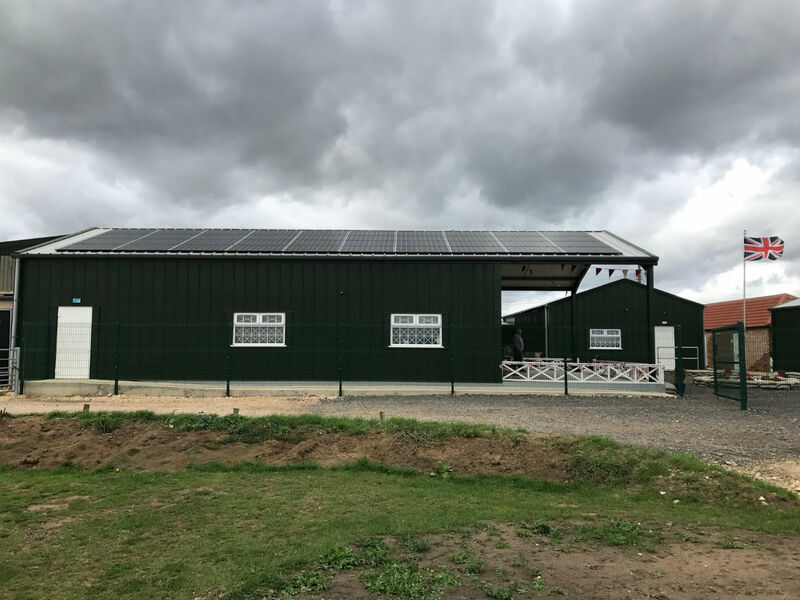 Solar photovoltaic (PV) panels installed on the roof of the ‘We’ll Meet Again’ museum, in Freiston, have future-proofed the registered charity, meaning thousands more schoolchildren will be able to learn about the fight for freedom and sacrifices made during the First and Second World War. The project, which completed following the museum’s first anniversary, will begin to offer savings of more than £2,000 a year. The museum – which has a 14ft Lancaster bomber, army rationing items and objects from the Home Guard on display – was set up in 2017 by Paul Britchford, who started collecting the items from the age of eight and has since accumulated thousands of artefacts, some of which were used in the upcoming war film Lancaster Skies. Paul and his wife, Linda, started as a travelling museum visiting schools across Lincolnshire in an army truck. In 2016, the couple secured a £200,000 grant from the LIBOR Fund in recognition of their educational work with children and opened the static museum – which now welcomes at least two schools a week – a year later. “The solar panels have not only allowed us to be greener, but we’ll also start seeing a reduction on our energy bills – which went through the roof last winter. We’re yet to receive a bill, but since having the solar panels installed, we’ve had days when the electricity meter hasn’t moved as we’ve generated enough power ourselves to run the museum, which is just fantastic. “We’re a registered charity so saving money will allow us to expand and make us feel more comfortable in terms of our finances – essentially future-proofing the museum and giving even more schoolchildren greater knowledge about the two world wars. The installation was funded by the British Airways and Pure Leapfrog Carbon Fund grant, which allows the airline’s customers to choose whether to donate in support of low carbon, energy efficiency or renewable energy projects in the UK and Africa in a bid to foster cleaner, greener and stronger communities. This means the installation was free for the museum, which will not have to pay anything back and will start seeing the benefits instantly as a result of reduced energy bills and feed-in tariff earnings – a government scheme which allows you to claim money back for every KWH generated from the system. “It has been great working with Peter and the team at the We’ll Meet Again museum. The new solar panels will help to save the museum money for decades to come, allowing children and the surrounding community to learn more about their local history. “Everyone who works at the museum is so passionate and dedicated and I’m delighted they will be able to pass on their knowledge about the First and Second World War to future generations, me included, allowing them to be reminded of the fight for freedom and sacrifices made by those before them. The ‘We’ll Meet Again’ museum is located in Shore Road, Freiston, and is open Wednesday to Sunday 10am until 4pm during school holidays and Friday to Sunday 10am until 4pm during term time. Special education and group bookings can be made by calling 01205 761082.